Flagstaff has a very diverse range of cultural offerings including orchestrated music, murals, and public art installations for everyone to enjoy. Flagstaff has a very diverse range of cultural offerings including northern Arizona’s professional orchestra; the Flagstaff Symphony Orchestra, the Museum of Northern Arizona which presents a look into Native cultures and tribal lifeways, and Theatrikos Theatre Company, a community theatre offering quality stage performances. In addition to these cultural experiences Flagstaff also has an extensive Public Art program coordinated through the Beautification and Public Art Commission at the City of Flagstaff. More than forty pieces of public art in Flagstaff visually represent the heritage of the area, from University murals to abstract steel installations. Each piece tells a story, some inspiring, some meditative and others that intend to leave a legacy for future generations. Many of these have been inspired by the natural surroundings and local culture of Flagstaff and northern Arizona providing a lasting benefit to the community, increasing livability and enhancing the overall quality of life in Flagstaff. Download the Flagstaff Public Art Map for information on each piece and where to find them. 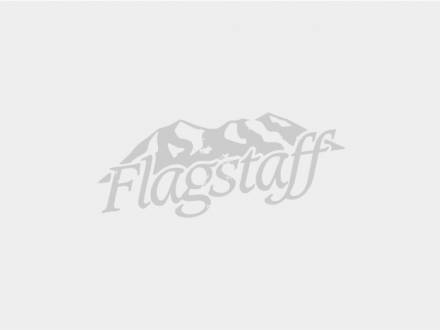 If you have an idea for a public art project of beatification effort, visit VisionFlagstaff.com to provide input on proposed project or submit your own idea.